Home » Ozzie Newsome Jr. 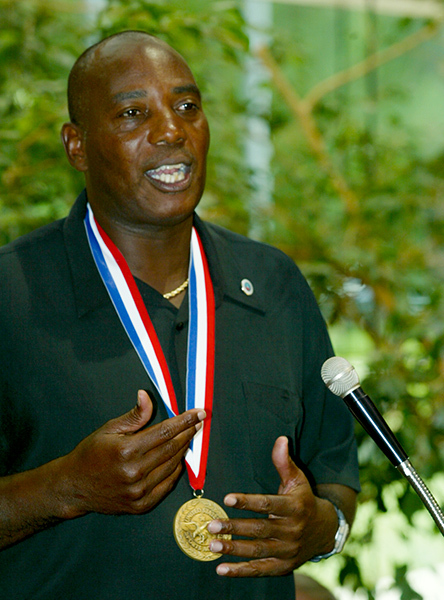 Muscle Shoals native Ozzie Newsome Jr. (1956- ) speaks to a crowd in Daphne, Baldwin County, after being honored with the Eagle Award by the U.S. Sports Academy in June 2003. Newsome was a University of Alabama Crimson Tide standout and went on to a celebrated National Football League career as a player and executive.